Specialised Air Motors & Transmission (TONSON AUSTRALIA) introduces a new line of shaft mounted speed reducers to their extensive range of industrial gearboxes including worm, inline helical and helical bevel gearboxes. TONSON Australia (SAMT) will now stock shaft mounted speed reducers to further expand their extensive range of industrial gearboxes. The latest addition will make TONSON Australia (SAMT) a complete one stop shop for all industrial gearboxes. The high-quality shaft mounted speed reducers available from TONSON Australia (SAMT) operate optimally, especially in industrial environments and are interchangeable with Dodge, Sumitomo and old Fenner shaft mounted speed reducers. TONSON (SAMT) offers several years of experience as a manufacturer, importer and supplier of all motor and industrial gearbox products from many well-known brands. 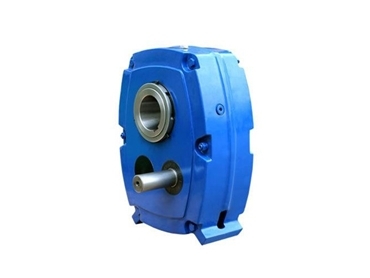 Key benefits of TONSON Australia (SAMT) shaft mounted speed reducers include carefully engineered design for ideal performance and efficiency; ease of installation and usage; and choice of different ratios, power and torque outputs. TONSON Australia (SAMT) products include a complete range of variable speed drives, AC electric motors, DC electric motors, stainless steel electric motors and gearboxes, industrial gearboxes, industrial geared motors, modular worm gearboxes, planetary gear units, large gearboxes (mining), and screw jacks for use in all major industries.